10 Tricks to Save Money with Credit Cards - Moneyhome.co.uk - The Best Moneysaving Blog ever! The most credit savvy among us have been able to use credit cards to their benefit in order to wisely and optimally save money even while charging on their cards. If you are careful about how you use your credit cards, you may actually come out ahead by using them, rather than if you just stuck to cash. I’ve written about the perks of using cards before and why I prefer credit cards over cash, but this time, I’d like to share some actual strategies we can use to get the most out of our credit cards. Many consumers use a common strategy to trim what they owe on their cards: they use balance transfer credit cards, which offer 0% or low APR on the balance that is moved over, but for a limited introductory period. Make sure you perform a cost benefit analysis before executing this plan since most cards these days have a balance transfer fee (typically around 3% of your debt) that you’ll need to pay when you do the switch. You should also assess if you’ll be able to pay off your debt entirely before the promotional 0% rate period is up, in order to avoid any increases in the card rate. If you can’t make this work, it may still be worth doing a balance transfer if the new card carries a much lower APR than your old one. I’m a huge fan of credit card rewards. But to offset the rewards that they pay out, rewards cards tend to have higher interest rates than regular credit cards. For instance, it would only make sense to earn American Express rewards if you intend to pay your balance in full each month, no fail. If you can’t commit to such a schedule, then it’s better to apply for lower interest cards. 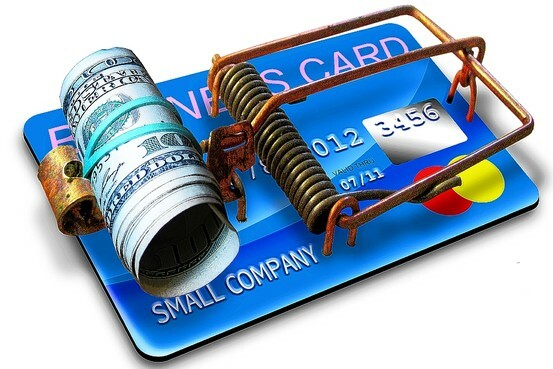 Because of today’s more restrictive credit environment, it’s now tougher for shrewd cardmembers to execute any money making schemes using credit cards. In the past, it was fairly easy to make money with cards by taking borrowed funds and funneling them into a high interest savings account that sported an attractive yield. With savings accounts no longer yielding such great returns and balance transfer cards with awesome terms now dwindling in number, this strategy is no longer as lucrative as it once was. There are still people who play this game though, but it’s a game that requires top notch organizational skills since any misstep (say a forgotten or late payment) can cost you much more than you’d earn in this plan. By simply practicing good payment habits, you’ll avoid exorbitant finance charges and penalties levied upon your account. It’s best to pay off any monthly balance in full, but if you can’t swing it, then paying more than the minimum will save you quite a bit in interest over the long term. There are also certain credit cards that will reward you for this type of good behavior (check out my Citi Forward credit card review for more details). 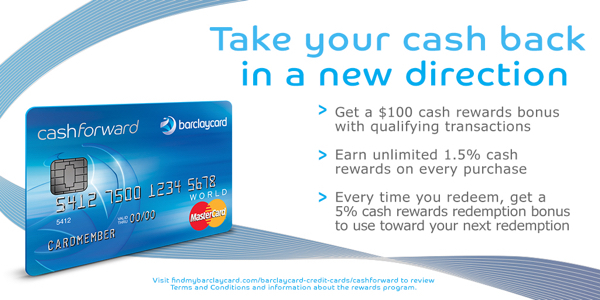 Compare credit card offers and other available options before signing up for anything. Have you read the terms carefully? Based on your shopping habits, you’ll find that there are certain credit cards or similar alternatives that will suit your spending patterns better than others. For examples, if your primary objective is to have a way to make purchases on platforms or places only that accepts credit card transactions (i.e. online shopping), perhaps you should consider applying for interest-free alternatives, such as prepaid Visa cards ., as these can help you to better manage your money, helping you to effectively control your spending. 6. Don’t own too many cards. I’d avoid collecting rewards cards simply because owning too many may prevent you from optimizing your rewards on any one card. Also, having too many cards may just encourage you to charge more than you should and to overuse your credit. Some people I know don’t have emergency funds and end up relying on their collection of credit cards to bail them out whenever the need arises. However, with no savings, you’re likely going to keep a balance on your credit card as soon as you use it for any unexpected expenses — and keeping a balance means paying extra in interest. So keep in mind that while depending on your cards as backup is quite tempting to do, it will certainly be expensive in the long run if you charge up a storm. Here’s a great compromise: if you are interested in taking advantage of rewards, you can still own a rewards card but use it only for those items that you’ll be able to pay off completely each month. You may want to consider applying for a second card which should be of the low interest kind; this is the card that you can afford to own with a balance given its lower rates. If you’ve got a good history as a cardmember, you may have some leverage here. When you’ve been a customer for a while, give your card company a call to discuss the possibility of cutting you a break on the rates. They’re more amenable to this type of request than you think since card companies would love to hold on to their good clients. 10. Don’t use your card for cash advances. Avoid using any free checks that come your way that draw from your credit card account. And try not to use your card for any form of cash advance — it’s not worth what you’ll pay for the convenience. Excellent advice! I was just wondering about the free checks that come in the mail. Are there strings attached or something? I thought it was just the same as purchasing or would think to use it for an emergency. Anyway, appreciate the article!